Both considered and luxurious, residents of Night Fall’s superbly appointed one, two and three bedroom apartments are welcomed into curated spaces of exquisite materials and finishes, where warm palettes of industrial elements, such as anodised bronze panelling are offset by softer textured off-white exterior treatments and polished edges. Carefully considered and light filled spaces are framed by generous balconies and an orientation that maximises natural daylight. 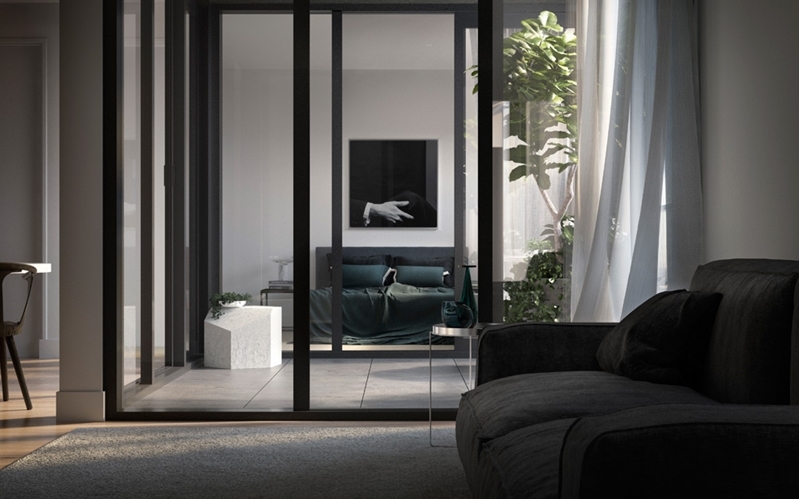 Paying homage to Melbourne’s great laneways, the select balconies fronting Gladstone Street and corresponding laneways create a sense of inner-CBD living while providing a strong connection between interior and exterior living spaces. 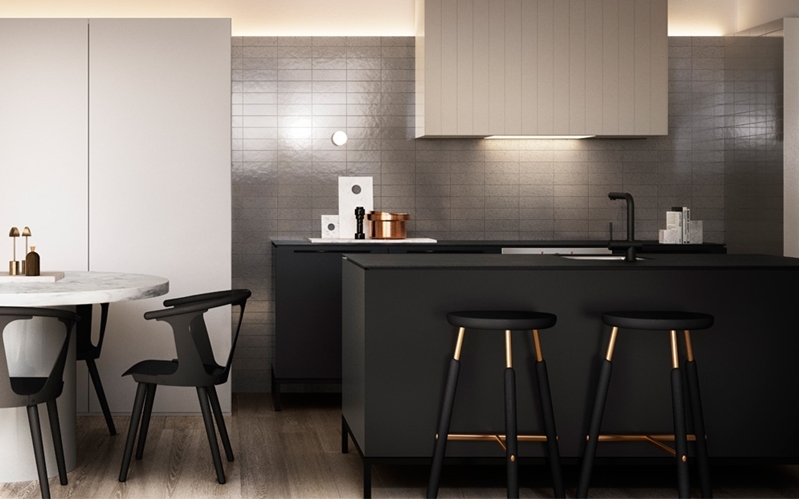 Supported by an innovative carstacking carpark and generous secure storage spaces, residents of Night Fall are afforded the conveniences expected from a luxurious and boutique residence. Night Fall is situated less than 1.5 kilometres from the city centre and upon the nexus of Melbourne’s most celebrated cultural hub. 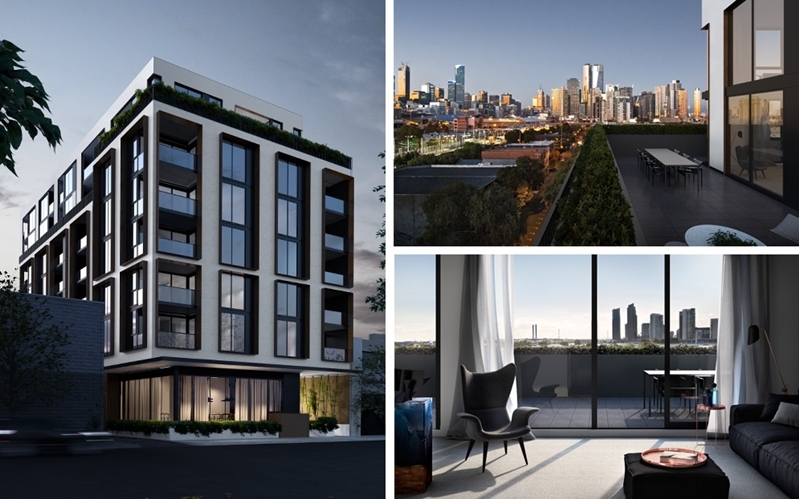 Serving as a cultural barometer and beacon, Night Fall rests discretely at the entrance of Melbourne’s entertainment and recreation precincts, the excitement and colour of which is matched only by the grandeur and serenity of nearby parklands and picturesque Port Phillip Bay. 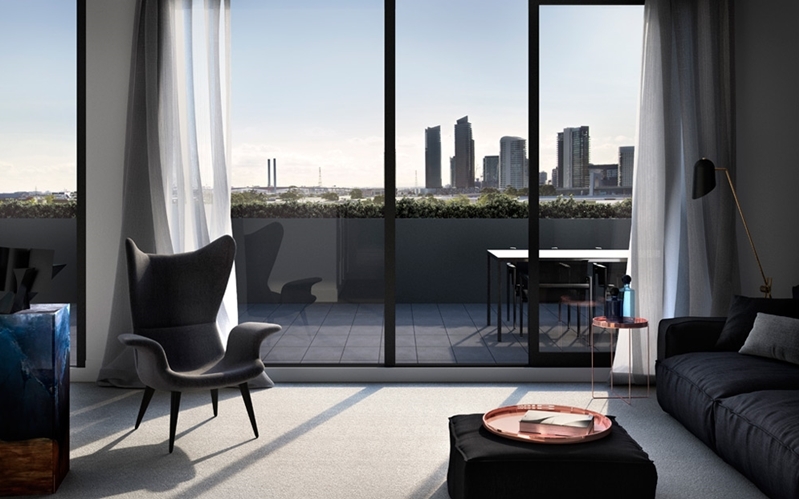 With stunning city views to the north-east and bay views to the south-west, Night Fall is simultaneously a sanctuary and stage with residents afforded the luxury to participate in the haptic energy of local markets and cafés or curate a unique in-house entertaining experience. One cannot speak of Night Fall’s architectural presence without the attribution of DKO Architects. Widely recognised as an award winning architecture and design practice, DKO Architecture’s enviable reputation has been developed through the meticulous planning of living environments and the integration of internal and external living spaces. Complementing Night Fall’s architectural narrative is the curatorial vision of Paul Hecker & Hamish Guthrie of celebrated interior design firm Hecker Guthrie. Driven by the principals of authenticity, consideration and enthusiasm, Night Fall reflects the profound relationship that each of these principals has in creating a cohesive, highly considered and luxurious environment.